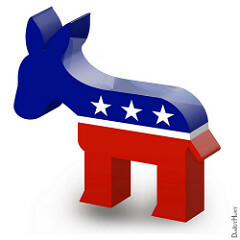 Mike won the endorsement of the Delaware County Democratic Party at its nominating convention on February 18. Mike is lawyer in Philadelphia and former prosecutor in the Philadelphia D.A.’s office. He grew up in Havertown, attended both St. Denis and Annunciation parish schools, graduated from the College of Holy Cross and has a master’s degree in classical studies from Indiana University. Before earning his law degree from Temple University, Mike taught Latin and ancient Greek at the middle school, high school, and college levels. Mike currently lives in Drexel Hill with his wife and two young children. Mike is hosting a Petition Party at his home on Wednesday, February 28, from 7:30 p.m. to 9:00 p.m. He is inviting congressional candidates for the new PA-5. This is a chance to meet Mike and some congressional candidates. Address: 1212 Morgan Ave., Drexel Hill. Like Mike on Facebook to learn about events and get Mike’s commentary on politics. Visit Mike Zabel’s website to read “Why I Am Running,” sign up for updates on his campaign, and contribute a few bucks to help him win. Delaware County Dems from the 166th unanimously endorsed Greg for re-election to a post he has filled since 1992. Greg is widely known as an unyielding advocate for environmental protection, particularly in relation to the effects of natural gas drilling in PA. As a member of the state assembly, however, Greg also prides himself on being the legislator who reads the fine print in Republican legislation, finds the poison pill buried in the details, and alerts colleagues to the hidden flaws. Vitali, age 61, was born in Havertown, graduated from Saint Joseph’s Preparatory School in 1974, earned a B.S. in Economics from Villanova University in 1978, and a Villanova law degree in 1981. As a state legislator, Vitali has supported a severance tax on natural gas drilling in PA., but opposed 2017’s (failed) tax proposal because it limited the state’s ability to regulate the natural gas industry. He has proposed legislation to prohibit further leasing of state forest land for drilling and called for full restoration of budget cuts to the PA. Department of Environmental Protection.